Ed Jackson typifies the thousands of guitar builders around the world for whom 'having a go' turned into an all-consuming passion. 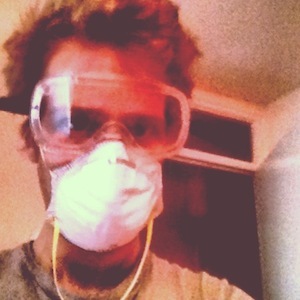 Ed Jackson's dream of being a rock star didn't work out. Like many of us, he wanted nothing more than to spend his days rehearsing and recording and his evenings taking to the stage with a guitar over his shoulder. Unlike many of us, Ed didn't just give up, he pivoted and turned his love of the guitar into something else. 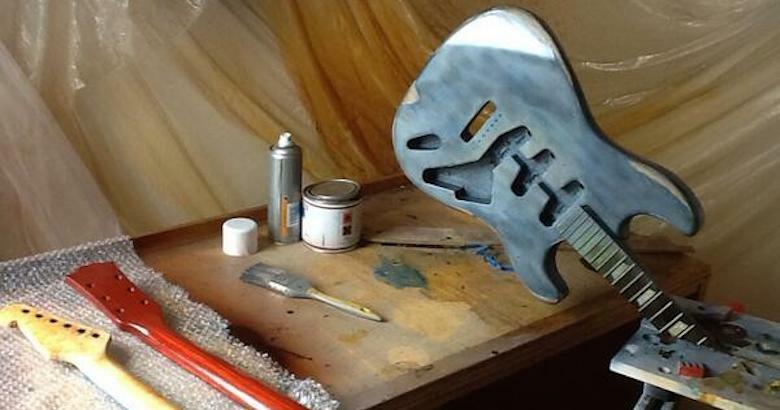 He started making custom guitars and guitar parts and turned it into a business, E Jackson Custom. 'Once I realised I would never be a rockstar - I switched to concentrating on building and modifying rather than posting low quality, painful videos of myself unable to sing on the internet. I've always loved setting up, jigging and modding/customising guitars,' he told us. Unlike most of the luthiers we've spoken to, Ed's introduction to building guitars came shortly after buying a terrific guitar. 'I got myself a gorgeous Gibson SG Custom '61 Re-Issue in ebony (still have it of course) in December 2012 - played the heck out of it for about a week and then decided I wanted a Gibson Custom Black Beauty - in no position to buy one - I decided to make one for myself - to spec. It kind of took off from there really,' said Ed, almost wistfully. Ah, many a lovely finish has come from a happy accident. When it comes to the process of building, Jackson's mantra is 'keep it simple,' which makes a great deal of sense. 'Look after your tools - passion, aim for perfection. You will be very proud of the outcome,' he advised. 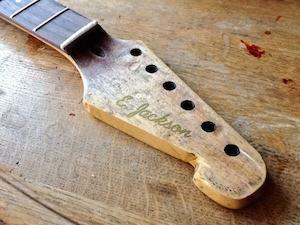 The wood might be dead, but Ed Jackson's guitar building business is only just getting started and it seems to us that his passion will ensure it's brilliantly successful.